I don’t play many sports games. That's probably because I don’t watch many sports. With four kids, a full-time job, Gaming Nexus, video games, books, comics, movies and TV shows, I don’t have a lot of time to commit to keeping up with sports. Something had to go, and sports was that something. I do, however, have a sports-nut 17-year-old son, and he is committed to playing every sports game under the sun. While his is a devoted NBA 2K fan, he told me that NBA Live 18 is “actually really good this year”. This is strong praise, folks. 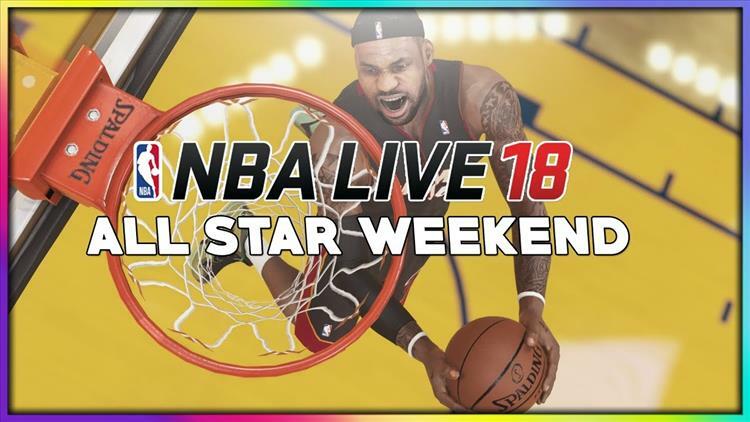 My ears perked up this week when I was cruising through the weekly PlayStation Store deals and noticed that NBA Live 18 is on sale for $4.49. Sports games always end up ridiculous cheap, but this steep of a discount is a bit extreme so early in the cycle. Could be the result of clap-back from the EA loot crate scandal, could be the continued dominance of 2K, but either way, $4.49 qualifies as a good deal. Add to the pot the fact that EA is adding a bunch of content in celebration of NBA All-Star Weekend, and you have a situation that might actually have me downloading a sports title. According the press release, “fans can access a variety of All-Star content including the basketball court, player jerseys and team rosters. Players can also choose new All-Star items for all this weekend’s players with ratings boosted and take part in All-Star Fantasy Challenges. Additionally, this update includes bug fixes, improvements and more content including team roster changes based on the recent trade deadline.” Not bad for a game that is on sale for less than five bucks. It would be a shock to my son’s system if he came down to the living room and saw me playing a basketball game. I’m sure he would immediately demand to play me to prove his overwhelming superiority, and that’s fine. We’ll see who comes calling when he has an essay to write.